Cheshire has been telling stories about his family online and in print for almost all of his life. He started in print with Please, Send Money, a story about the kitties trying to help earn money for the household during the Great Recession. 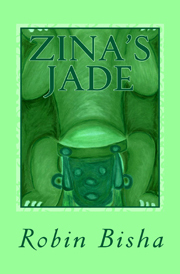 (Scroll down to the bottom of the page to read about the book, or just click on the title to order a copy. ) Some people bought the book. One actually did as he asked and sent him $2 in an envelope! He was so happy. After the book, Cheshire devoted his efforts to reporting on news concerning companion animals for a few years as a reporter with the Anipal Times. When the Anipal Times closed its website last summer, we republished some of his stories here on our site. You can read them by searching for the category “news stories.” In addition, we will republish stories from time to time. Expect to see the sled dog series soon! Readers of his blog and Twitter postings have helped him to save a lot of cats, and some dogs, from life on the streets. They have funded much-needed medical procedures for needy kitties. Mostly, Cheshire’s readers have cared about all of us and encouraged us through health crises and rescues. Cheshire hasn’t been posting so often in the last couple of years, and he has offered to let me move our website in a new direction. He will still post about “Life At Our House” (check out this category for lots of cute stories and photos!). Cheshire is already more excited about blogging, now that he’s in charge of only one category and it isn’t serious. I will be posting regularly about the relationship between humans and animals (especially cats!). For now, I’ll post once a week on Saturdays. Another week we’ll have a book review that relates to our (that is, humans’) life with animals (especially cats!). The third week will offer a view of our training activities. Meggy is getting ready to start therapy cat training, which will be our first training subject. In the fourth week of the month, I will be posting about changing directions in my work that are taking me more and more in the direction of full-time work on behalf of animals. For both personal and professional reasons, these posts will be available by subscription only. Those who are interested in talking about preparing for and orchestrating career transitions are welcome to learn from my mistakes or offer insights that might help me avoid some. (For any of my university students reading this post, it takes at least as long to get ready to move to new work as it does to complete a university education, so I won’t be abandoning you.) Subscription posts will also touch on how to implement the best strategies to support sustainable relationships between humans and animals, because I know this is my mission for the next part of my life, however and wherever I do the work. We also invite guests to write about experiences they have had with animals that opened up a sense of grace. However you define grace. If you’re interested in hearing my thoughts, you may listen to a video from my service at my university’s chapel a few years ago, The Grace of Animals. 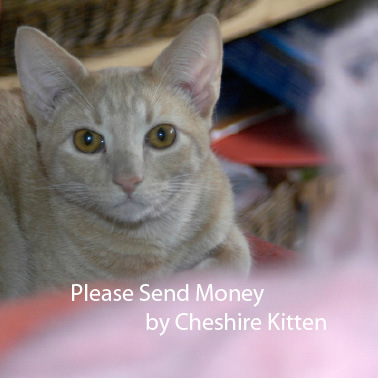 Email Cheshire at cheshirekitten AT sbcglobal DOT net if you have an idea for a story. Maybe… eventually… probably… I will change the name of my part of the site. CreatingLoveForAnimals.com??? For now, Cheshire and I will share until I truly understand how best to carry out the vision I have for supporting better relationships between humans and other animals while taking care of myself and my cat family at the same time. CheshireLovesKarma will present the best of my present thinking and web skills. The subscription post will open up the messiness behind my career, skill development, and mission. That’s another reason I’m keeping the posts behind a password. The posts may be as messy as the process of realigning my activities to ever more closely align with my great loves and life-long priorities. To request the password for the subscription posts, email Cheshire at cheshirekitten AT sbcglobal DOT net. He will respond as quickly as possible, most likely within one day. Those of you reading this post in email, please click through to the site to see a really cute picture of Cheshire. P.S. 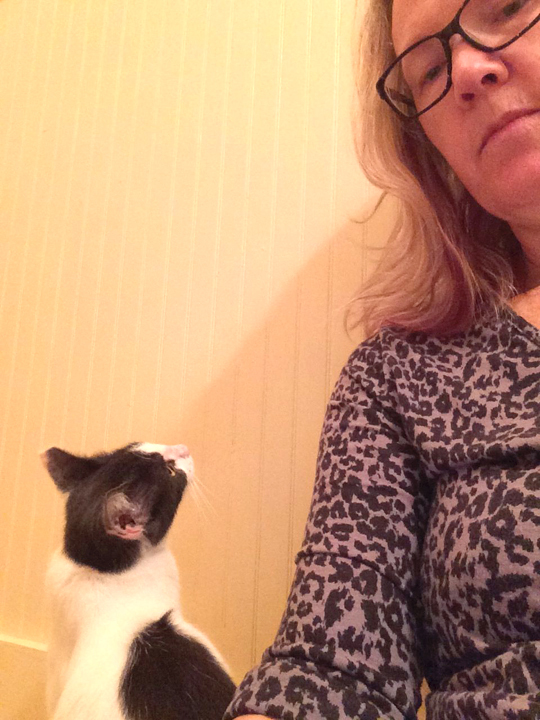 If you know anyone who would like to adopt our foster kitty Zoe (in the picture with me), please send them my way. 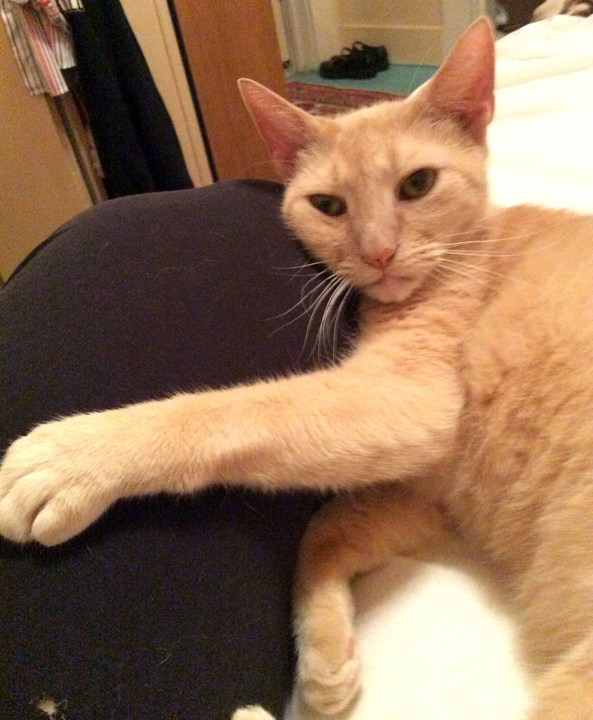 Zoe’s pads and skin have healed, and she’s getting bored in our foster room. I like your plan, all the topics interest me. Love your mission!!! Wish you had your special posts available to us who SUBSCRIBE to you already via email. Also, to help readership, just a suggestion, you might want to change your blogging day to Monday rather than Saturday, (I have found through my nine years of blogging that Mondays are higher traffic days, just a thought). All the best! All you will need is a password to open the protected posts. I’ll make sure you get it! It’s nice to see you have lots of interesting topics coming up. Will look forward to reading your new blog as it unfolds.